We are pleased to announce that SDS are sponsors of the WWT Sustainable Drainage Systems Conference, taking place on Wednesday May 1 in Birmingham. The conference will bring together water companies, local authorities, developers and contractors to debate the current challenges and opportunities for greater SuDS delivery in the UK, and to share developing best practice. Around a theme of “Changing the mindset around SuDS: Taking an Integrated Approach to Surface Water Management”, the conference will explore new opportunities for multiple stakeholders to work together and realise the full potential of SuDS to take the strain off sewers and other infrastructure to prevent flooding and pollution. The impressive line-up of leading industry experts includes SDS’s Market Development Manager, Jo Bradley, whose presentation focuses on “Effectively managing the quality of surface water runoff whilst minimising harmful pollutants.” The full agenda also includes retrofitting SuDS, issues for improved adoption and maintenance, as well as monetising and measuring the cost benefits of SuDS. Jo will also join an expert panel discussion on the impact of greater water company involvement in the design and implementation of SuDS in the light of Sewers for Adoption 8, and the implications for overall performance of water management systems. To view the full agenda and book your ticket, please visit the event website. The effects of climate change were recently spelled out in no uncertain terms in a watershed report by the Intergovernmental Panel on Climate Change. In it scientists made a last-ditch plea for unprecedented change to stop our planet warming to catastrophic levels. Frequently underestimated compared to the effects of coastal and river flooding however, surface water flooding threatens millions of homes and businesses across the UK. Sustainable Drainage Systems (SuDS) are key to building resilience, and the good news is that they are finally becoming mainstream. 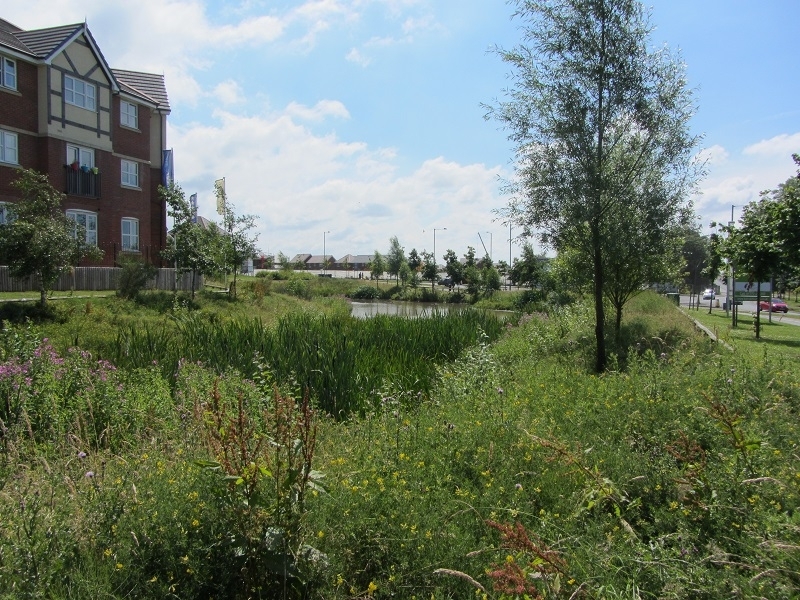 In August, there were encouraging results from the Government’s review of how effective including SuDS in the National Planning Policy Framework (NPPF) has been in promoting greater uptake in England. It found that almost 87 per cent of all approved planning applications reviewed included explicit mention of SuDS. For architects involved in commercial or housing schemes, the consideration should no longer be whether to include SuDS. Instead the question is, what will constitute a great design? Published in July, the revised NPPF added a requirement for SuDS to provide, where possible, ‘multifunctional’ benefits. Instead of just being a means of getting rid of excess water, drainage becomes an opportunity to reuse or recycle it, and to work with nature to create biodiversity or public amenity. The new emphasis reflects wider ambitions to encourage ‘blue green’ infrastructure in urban environments, combining the best that nature can provide with engineering expertise to produce a transformational result. SDS has developed a groundbreaking new sustainable drainage material that offers a simple and versatile solution to removing toxic heavy metals pollution from highways. SDS Aqua-XchangeTM is a flexible and highly-efficient granular material that captures copper and zinc in surface water runoff from motorways, trunk roads and other high-traffic areas. SDS Aqua-XchangeTM can be used in regulatory-compliant Sustainable Drainage Systems (SuDS). It has been proven in independent testing to achieve 99% removal of dissolved copper and zinc, toxic metals identified by Highways England as ‘priority pollutants’ and subject to strict regulatory controls. Delivered to site in lightweight, one cubic metre bags, SDS Aqua-XchangeTM is now available for consulting engineers and infrastructure contractors to deploy as stormwater treatment in highways drainage, as well as on other higher risk locations such as retail car parks, freight and logistics hubs. SDS worked with scientists at the University of Chester to perfect SDS Aqua-XchangeTM. A unique combination of naturally-occurring materials, it uses the processes of adsorption and ionic exchange to form unbreakable bonds with the heavy metals, including copper and zinc, capturing and retaining them even in heavy storms. In a typical application, a layer of SDS Aqua-XchangeTM can be added as an additional component to a linear filter drain. Installed at a shallow depth, contractors avoid costly excavation or use of heavy cranes. SDS Aqua-XchangeTM can also be combined effectively with other proprietary SuDS devices. As it can filter out finer silts and sediments, it can be deployed downstream of a hydrodynamic vortex separator such as SDS Aqua-SwirlTM that targets larger particles. It can also be combined with geocellular storage, such as SDS GEOlight®, when additional attenuation is needed as part of the roadside treatment system. Compliant with guidelines in CIRIA C753 The SuDS Manual, SDS Aqua-XchangeTM can be included as a component in vegetative SuDS devices such as dry swales, raingardens or bio-remediation zones, so that robust retention of copper and zinc is completely assured while plants can continue to thrive as part of the landscaped design. Increasing sales of our Aqua-SwirlTM hydrodynamic vortex separator, used to remove polluting silts and sediments from surface water runoff as part of SuDS, has prompted a new partnership with off-site build specialist Asset International. The innovative technology of the Aqua-SwirlTM was first introduced to the UK market in 2015 along with its sister high-performance filtration system, the Aqua-FilterTM. Production of both devices has already begun at Asset’s state-of-the-art fabrication plant in Newport, using Weholite HDPE components, and the first products have been delivered to site. “The arrangement has more than halved the delivery times to SDS customers as well as providing more opportunity to engineer bespoke components to meet the precise requirements of a drainage design,” says SDS Sales and Marketing Director Richard Averley. Since April 2015, the National Planning Policy Framework (NPPF) has required SuDS to be included in major commercial and housing developments in England. “We expect demand for water quality treatment devices to continue to grow, now that the Government has committed to building more SuDS as part of its 25-year Environment Plan, as well as further strengthening the NPPF to include a requirement for SuDS to be multi-functional,” Richard continues. NEW guidance appears to give water companies greater freedom to adopt Sustainable Drainage Systems (SuDS) and to introduce more rainwater saving and re-use schemes, as well as encouraging the integration of surface water assets into blue-green infrastructure. Mark Manning, SDS Business Development Manager, said the guidance’s emphasis on encouraging the multiple benefits of SuDS should be seized as an opportunity for Water Companies to combine water saving with flood risk management. Not only does the document stress that SuDS should be multi-functional, it also reminds us that opportunities for rainwater to be reused should always be considered first in the design hierarchy. “Water Companies have a huge stake in how surface water is managed. Their sewer networks carry the stormwater load and are the last line of defence against flooding during heavy storms. At the same time, rainwater collection and re-use is their stock-in-trade. “Yet, neither regulation nor resources have encouraged Water and Sewerage Companies (WASCs) to own and adopt surface water assets and, in particular, Sustainable Drainage Systems (SuDS) in the past. Instead, organisational culture has focused around the separate streams of potable supply and wastewater collection and treatment. 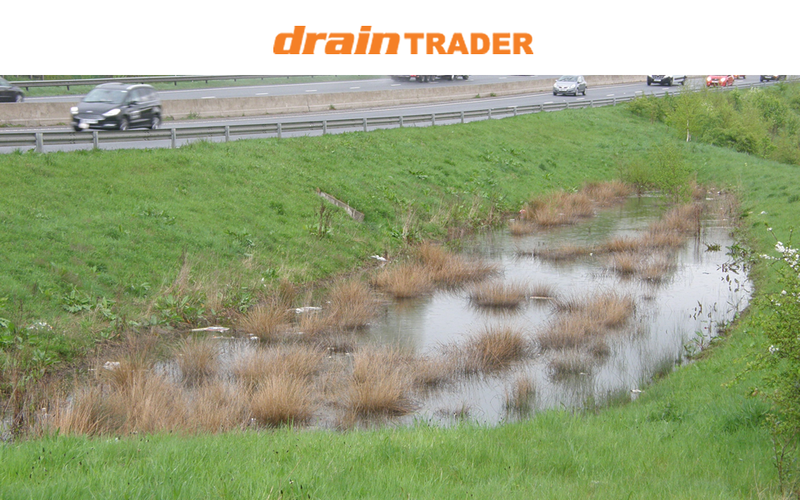 So, what is sustainable drainage? In order to answer this question, think about what unsustainable drainage looks like: directing rainwater into sewers causes flood risk, unnecessary levels of wastewater treatment and the potential for pollution via combined sewer overflows. Jo Bradley, Market Development Manager at SDS, proposes that the Environment Agency Report “The State of the Environment: Water Quality” fails to tackle pollution from urban and highway runoff. “The report is weak, disappointing and sidesteps the need for action to prevent pollution from urban and highway runoff,” continues Jo. “It estimates that the urban and transport sector accounts for 13% of all activities preventing water bodies from achieving ‘good status’, compared to 28% from water industry activities and 31% from agriculture.